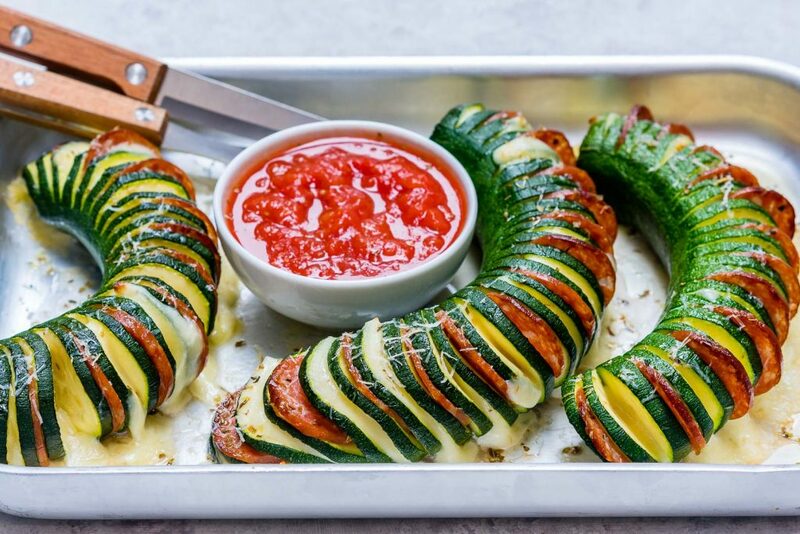 Pizza Stuffed Zucchini for Clean Eating FUN with the Family! Slice off both ends of zucchini and discard. On a cutting board, line up chopsticks on both sides of zucchini, then carefully make 1/4” slices, making sure your knife hits the chopsticks and doesn’t go all the way through the zuchinni. 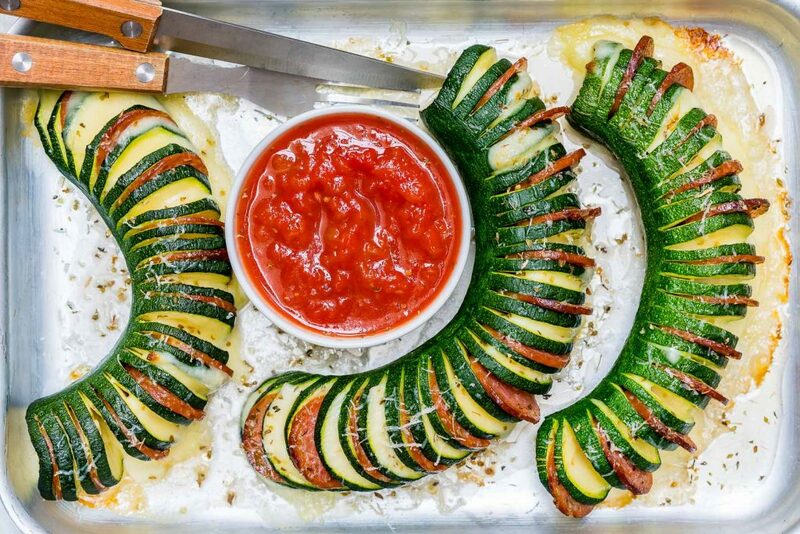 Place zucchini on a rimmed baking sheet and bake until it softens, for about 10 minutes. 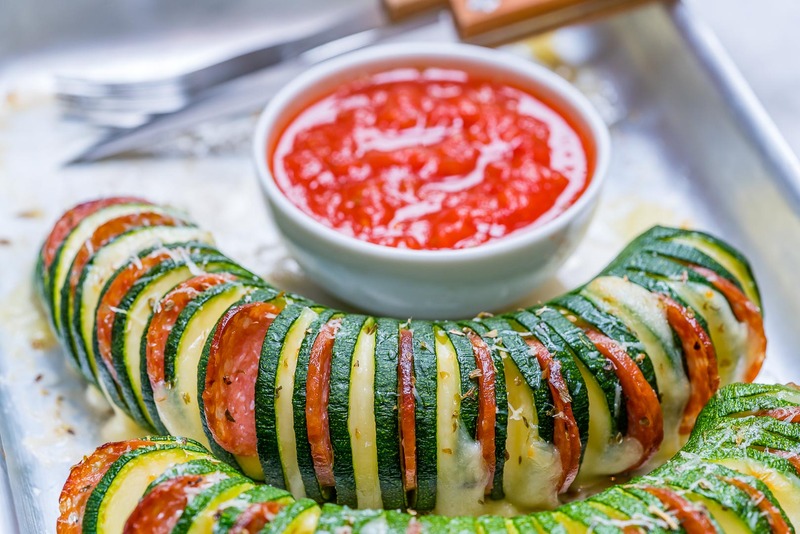 Let it cool for 5 minutes, then, stuff the zucchini, alternating with pepperoni and mozzarella. Sprinkle with Italian seasoning and Parmesan. Bake for 10 minutes more, until cheese is melty and pepperoni is crispy. 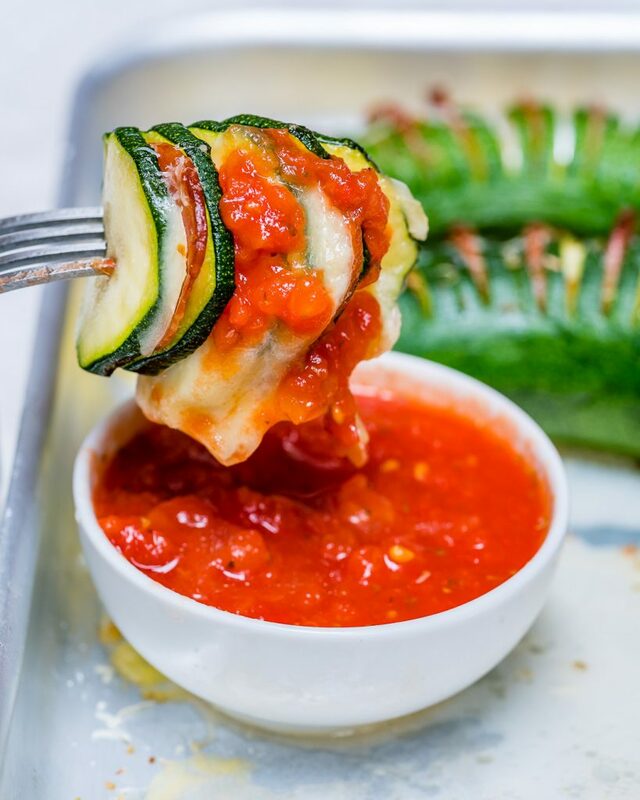 Serve warm, with marinara sauce and enjoy! 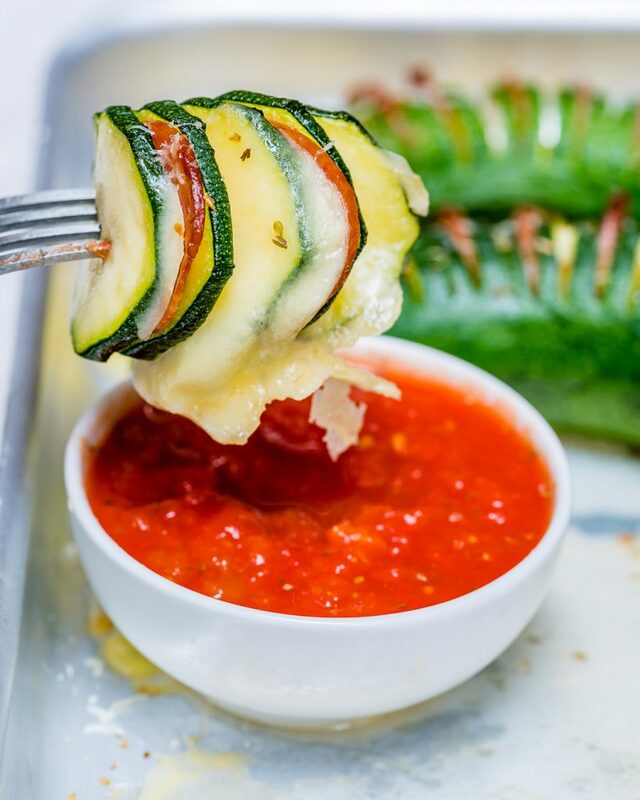 On a cutting board, line up chopsticks on both sides of zucchini, then carefully make 1/4” slices, making sure your knife hits the chopsticks and doesn't go all the way through the zuchinni.